Louisa: Hi everyone, welcome to the Goldfish Report, I am your host, Louisa and today we have another Exo-Geopolitical RoundtTable, continuing our series of `Uniting the Light!´ with Cobra, Cobra, welcome back to the Goldfish Report! Thanks for joining us! Cobra Yes, yes, it is exciting to be here again! Louisa Thank you! And of course, a returning guest for the Goldfish Report, Benjamin Fulford, welcome again Benjamin! Benjamin: Yeah, thanks for having me on! Louisa …and of course today, riding shotgun with me and as a guest and co-host is our friend, our Apalachian American ….Winston Shrout. How are you, Winston? Winston: Yeah, ok, is pretty early here, is 3AM, so I’m half goofy, but I’m ready to go. Louisa Me too, is 5 AM here…. We’re going start today, well, let’s see, Cobra just did an interview, was published yesterday with a lot of topics, a lot of questions about that and of course, Benjamin also just released his recent report this week and I think we are going to start with right off the top with the issue of . the whole Lightworker community is very, I would say, burdened by carrying the way of the reality of these 2 false flags, of these attacks in the United States to steer the narrative and to steer agendas, clearly not for the best interest of American people. I wanted to ask both Cobra and Benjamin, to get started and I guess I’ll let Cobra go first this time because Benjamin went first last time. Cobra, who is controlling the waking up group, who is behind it, for instance, ‘The women Lib (liberation) movement’, we knew that that was a Rockefeller funded project, based on the interview by Aron Russo about Nicolas Rockefeller, and he explained how that whole Women’s Lib Movement was engineered to pursue other agendas. So, who is really behind, they know that there is a community of people waking up so, who is behind it and what is it look like? Cobra: Basically, the real control of the awakening group is not on the physical plane. The basic control network is on the plasma plane, I was speaking a lot about this in the past, about the plasma scalar weapons, about the archons network on the nonphysical planes and actually, the whole incarnation process is being controlled. So, in many cases, many circumstances in the lives of awakened individuals are controlled by those forces and this is what some people describe as Karma. Karma is in many cases, not in all, cases but in many cases engendered reality to delay and postpone the awakening of those who actually came here, to this planet to do our mission. Benjamin: You know, Cobra and I speak about the same thing but we use different phraseology and concepts. its sort of like one person is talking about the Rain God the other guy is talking about the Strato-cumulus Clouds but they really describe the same thing with a different short of a set world of words and stuff, so, you know, at the level I am operating on, what I see is information is getting out in ways that it couldn’t before and that’s causing a change in the …what I call the null sphere, is like the mind atmosphere, is a collective thinking of humanity about what to do in the future and is no long… and the people who were aspiring towards a certain end are losing control thanks to the new Gutenberg press that is the internet and thanks to, I believe, the Asians, explaining to the west how they view the west and then-then the westerners are saying, oh my goodness they look at us as slaves? And you know what I mean, it is a complex process but essentially it is a psychological process of deciding what we do in the future, and in that sense you can say it is on a non-physical plane, and if you wanna call that plasma, that’s probably in line with what physics has to say. Louisa: Well, you would agree that, that obviously what you have just said is that the internet is having a huge impact, so you would think that they would know that and that they [the cabal] would be out there and controlling that opposition because I think it was Lenin who said ‘the best way to control the opposition is to lead it’, so, not leaving any stone unturned, which they usually don’t, who is leading the opposition here? Can you identify them, anyone? Benjamin: I think there is a bunch of people who are playing roles. It’s not like in the past, where just killing a Martin Luther King or a Kennedy could stop us. It’s just too many of us now I would be hard press to put it you know, sometimes the situation is ripped so that a thousand people invent the same thing at about the same time and that’s sort of what is going on. But definitely the Asian secret societies …and they are to play a big role and I think the people who first started uncovering the 9/11, like Thierry Meyssan helped to start this process, a lot of people in the U.S military who have been upset since the U.S.S. Liberty incident in 1967 have been behind this, a lot of people, I think is a collective thing. Louisa: Winston, did you have any comments? Did you have a good question? Winston: No, I’m happy to listen, I mean I don’t need to contribute to this. Really, spend your time with Benjamin and Cobra. Louisa: Ok! One of the reasons I am asking that is because there is some confusion about this global currency reset, which is where Winston can really contribute a lot to this conversation. So, yesterday I was reading Cobra’s new interview and that Lynn did a wonderful job, she is so lovely, she did an excellent job with all her wonderful questions and Cobra, you had commented about this Global Currency Reset, specifically this RV, this exchange and I think there was still some confusion about it, and I know Benjamin talked about it in your last update as well, that is definitely an agreement that is gonna be a global currency reset, but exactly how that’s gonna happen is little bit unclear. You have stated Cobra, in your article, that there was not that going…that there was some misunderstanding perhaps, about the RV, did you want to clarify what you said? Cobra: Yes, ok I can…I don’t know exactly what article you are referring too, but I can clear some misunderstandings here because they are quite widely spread. Many people are speaking widely and optimistically about the RV as the revaluation of certain particular currencies. I am speaking about something else, the financial reset is not the reevaluation of certain particular currencies Like Zimbabwe dollar or Vietnam dong or the Iraqi dinar but a global restructuring of the financial system. Now we are still operating under the Brettonwoods agreements so the whole Planetary financial system of the planet is structured in a way that benefits the Cabal. The way the money is transferred, the way the banking operates is structured purposely in a way that does not benefit humanity. So, the Light Forces are working behind the scenes for many years and I know that Benjamin knows a lot about it because he is directly involved in some of this…but is an alternative financial infrastructure built as we speak, globally, in many countries around the world and this in preparation for the revamping or restructuring of the financial system and is not just about revaluing certain currencies, is about putting the whole financial system on a new basis. This basis has few elements, one of those elements it would be partially backed by gold, because the financial system needs to have physical anchor… and the recent developments are about crypto-currencies, I will be speaking about the crypto-currencies a little bit later, during the interview, I think… for sure we will get into that area. Cobra: But what I am saying is that the whole banking system is a computer network and this computer network is in the hands of the Cabal. The Swift system, as a mode of transfer money, is completely under control of that network. In that matter, originates…the main trade computers are in New York in JP Morgan headquarters and the Resistance Movement has put viruses in that computer network and they can shut it down, and when they do shut it down, at the moment of the Event, the Light Forces will take over the whole financial system at once, so the banks will be closed for a week, or so…. and when the new system gets online, it will be under the new rules that we will dictate, not the cabal. So, this is the basic idea and, and of course, there are many details about this, that we can discuss during the interview. Louisa: Ok! Thank you, Cobra! Benjamin goe ahead, did you want to comment on that? Benjamin: Yeah, it is true that there are con-artists out there selling Zimbabwe and Iraqi and Vietnamese currencies, saying that is gonna reword trillion times more, my own sources told me it was the Bushes were behind the Iraqi dinar thing, so all I can say is that a lot of people in the U.S military and the agencies, a lot of very powerful people have bought into this and all I can say to this people is that we will try to compensate them for their, you know…but not in the…non in the way that the conmen are talking about, but at least trying to get their money back from these scammers, one this is all over, but as Cobra says, it is not about this currencies, it is the entire system which is really the process of deciding what we, as a species do in the future, and you can see for example you have the American project for a new 21st century, right? written by the neo-cons, talking about war and invading the middle east, and oil and putting out bio-weapons and then you have the Asians, they are saying `let’s build highways and bridges and universities and nature reserves´, so which do you want to chose, you know?… and, so, the…and the other thing is having, you know, after having started my first reporter job, covering the Bank of Japan, you know, more than 30 years ago, I’ve looked at this for a long time and worked my way out of the system to figure out who is in charge and above the Royal Families you do have this group of people who were literally trying to artificially create Armageddon, kill 90% of the humanity and enslave the rest. This is something I provided proof to the various authorities and stuff and this are the Zionists, this is these religious fanatics who have been trying to take us down this road and they very nearly got there, they were very close run thing but fortunately they have been defeated and we are really dealing with a rearguard action at this point. Every time when they try to start the WW3 is stopped and they just…it’s just not gonna happen and there’s gonna be some last minute stuff they’re gonna do for sure, it’s gonna be in places like the Ukraine, they failed to do anything with Iran, they are failing with Noth Korea, you know, is gonna be messy but they have lost, that’s the bottom line. And yet, even these false flags, well, like this Las Vegas thing, is not like in the past where everybody in America would say, you know, let’s go, invade Syria and kill ISISbecause what they did in Las Vegas is more like, people are figuring out, right, `in real time, hey, this is some show put on by the F.B.I, is full of contradictions…in other words, their old tools of control are failing them and they are scared, very scared. I saw, I didn’t listen to the entire George Bush jr. speech he put out but I just looked a little bit at his face and that man is very, very scared and for good reason. Louisa: well, you know, is all about choices that we make, isn’t it? Winston, would you like to add to that, because I think you have another perspective on this currency, global currency reset. Winston: well, yeah, what I might add to is, the indications are, and again, I am involved in some international, with the Office of International Treasury Control’, I’m an officer of that, and what Cobra has brought up, I believe is correct but it needs some updating. I think we are walking our way into the Event and I think perhaps we are further ahead with those corrections then he is perhaps aware of. For instance, the swift system is almost the way out, Chinese have provided a new CIPS system which will be much more compatible with the international transfer and all this kind of things, and also…I think it was the..last year, around Christmas time, Indonesia did that what was called Swiss Indo, which was basically a Mini Gesara kind of situation, and the reason why Indonesia could do that is where the M1 lives, and he authorized it, and I am not against that I am actually very much in favor of that, I can’t believe the whole plant is so far behind but anyway, yeah, Indonesia and under the authority of M1 in fact, instituted something very very similar to the reset. So, I think perhaps, perhaps we are a little bit further ahead. Benjamin: I have a….I’ve got an email from a CIA source in Indonesia and his source is someone who was directly involved in the massacre of about a million Indonesian and the replacement of the Sokarno with the with the hard coach in other words, removing the original M1 to SOhartno, so this is a source and the email sent from the source seemed almost like a treat. What they were saying is that the Bitcoin was created by the agencies and that they have a backdoor in it and they gonna empty it (Winston-that’s true) one day, ok, and that they will just gonna at some point turn off all the financial computers and just, you know everything is gonna go to zero. Benjamin: Everything is gonna go to zero. I’m just telling you that what this source sent me in the email and this source is in Texas, that all I know about, I don’t know his name but he’s definitely up there in that agency and not necessarily with the White Hats. Ok? Winston: No, he is not. Benjamin: Well, you know, is already happed in Puerto Rico, I think they shut down…there was no hurricane, what happened was they…defaulted and they got to cut off the electronic money system, and I think they sent a sheep full or an airplane full of bills and stuff, and I think that…I’m not sure, I’d like, I’d love to be on the ground there and to watch but you know, at the end of the day, people are gonna use paper ledgers and write things by hand and they’re gonna keep praying and they still go grow things and stuff still happening so., you know, if they turn off all the computers, guess what, we can live without them if we have too. I mean, we did, for the most of our history. Louisa: Ok! So, let’s just kind of close up the topic of the financial industry. Does anybody have any comments right now, about anything that anyone has said so far, Cobra did you wanna comment anything that anyone hads said? Cobra: Yes, about cryptocurrencies. Basically, most of the computer communication is done on windows operating systems and we know that windows operational systems have a back door to the bad guys within the NSA and their plan is …one of their alternative plans they have is to switch the system on bitcoin and then empty the bitcoin. Even if you have blockchain transactions that go to many computers, I would say, most of those computers have a back door and is very easy for centralized computer network to take over the whole thing, so I would be extremely careful with cryptocurrencies and the Resistance movement is strongly against cryptocurrencies as part of the new system, for this particular reason. Louisa: Ok! Cobra Of course, when the Event happens, they can take over the whole system again but in the main time, there is a real possibility that everybody would go to a very stressful moment when they’ll lose all their money and they don’t know if they will get it back. Louisa Ok, in your…in the book ‘The Event’, you have outlined the steps of leading up to the Event, and steps immediately following it. You’ve done what you could Cobra, I know you have to try to prepare people to anticipate this and to try to prepare…be prepared for when this happens. And is very hard, always remaining in a state of vigilance, you know, for an indefinite period of time, when we have no idea how close this is…but as we’ve talked about before, in our last interview, it’s very clear that their [the cabal’s] days are numbered and they really just do some kind of truth and reconciliation to kind of make the best of it. But this is looking like is taking they’re taking a scortched earth approach to this exit. Do you know what I mean? Cobra: Yes, unfortunately, yes, but of course, we’re getting closer and closer, this is taking longer than anybody has anticipated and you can see progress, but the progress is not measured with days, is measured with months and years, unfortunately, but we are getting there! Benjamin: You think what I have noticed that what’s different from before is that we are actually able to identify these specific individuals, so here in Japan, where I operate, for example, I know exactly who these people are, it’s no longer a secret. I know that this Richard Armitage and I know that is Gerald Curtis, head of the C.I.A here, and we know who these people are now and that means that they are no longer hidden by secrecy and then they became very vulnerable and then if they are committing crimes, it’s suddenly, you know, they are no longer above the law and…it’s got to the point where it’s not like we are raging at the secret Cabal, we are not sure who it is. We know exactly who they are, we know where they are and they are disappearing, one by one. Louisa: Ok, so this recent takedown and arrest of Harvey Weinstein is a good example of this and I know that you spoke about this in your last update, Benjamin. This is like the low-hanging fruit, where do you see the next steps, who is the next? Benjamin: Here is something that we have to be really vigilant about, because they have got, computer graphics now can make a very realistic video of people, you know, for example, I was told about six months ago that George Soros was killed and they still put out statements by him but his family announced that they, you know, that his five children will run divide up his money his money, you know and jet, they’re still pretending he is alive and they even put out a computer graphic video with him as Davos you know, they try to pretend that everything is alright and a lot of this people are still around who are not. I heard that Bill Clinton has died of AIDS and is hard to know about, but what the important thing is that we have to… they are trying to make it appear that everything is normal and we have to identify when they are exiting, their people have disappeared, when they are using look-alikes, we have to let the world know that their people are not above the law and that they are been taken down and is happening, a lot of big ones, some…you know, David Rockefeller was announced, Brzezinski was announced, a lot of it is out there. I haven’t seen Bill Gates recently, last he was out there announcing to kill, you know, millions of people, literally saying that this virus are gonna kill tens of millions. To me, he was a treat and he’s disappeared from the public since then. I don’t know if he is still around. But, clearly, a lot of the big is already gone. Louisa: Well, Gorge Soros, Cobra, what do you know about George Sorors? Can you confirm this? Cobra: I cannot confirm that he is gone, but I would say even if he is not gone, all those people are now very scared because they know it is over. They know, they know it and… because their psychological makeup, they don’t want to negociate, they don’t want to surrender although it would be easier for them. Louisa: Ok. So, they are definitely taking the scortched earth approach. What about this transition with N.E.S.A.R.A ? are you familiar with…? yes, you are Benjamin, what do you know about that? Benjamin: Well, what I know about N.S.A.R.A is that it started out as a very good idea and a proposal and then it was taken over and used as a major confident and conjob for a long time and there was never actually an N.E.S.A.R.A low passed but, something N.E.S.A.R.A- like is going to happen, that’s my understanding, in a nut shell. Louisa: Winston, did you want to comment on that? Winston: Yeah, what Benjamin commented on there is true, as far as the Scam artist, there for long time we had, I won’t name names, but we have somebody who became very popular, a lady who is putting out all kinds of dribble, and yeah, that was a con-job, matter of fact she tried to con our of my frineds and he told her…..
Benjamin: she tried to con me out of one hundred thousand dollars, which I don’t have, ha! Winston: He explained to her that she was looking at the bullet between her eyes if she didn’t stop. Because unfortunately for her, he is also a world-renowned assassin and she really picked on the wrong guy to try to con, he told her, ‘ you’re looking for the bullet between your eyes…., so she backed away from it. But aside from her, I mean if you go back and look into the history of farms and all of the things that happened with Schwassinger and all these people, yeah…those things are leading up to the prevention of N.E.S.A.R.A and so forth, so my indication is that N.E.S.A.R.A is still in operation, is still functional. Louisa: And then is the counterpart, the G.E.S.A.R.A, which is more on the global scale. Is this idealistic, is this too idealistic? Winston: No, not at all, that was what Swiss Indo was, it was the G.E.S.A.R.A. Now, they didn’t go into all that provisions that we see in the G.E.S.A.R.A and N.E.S.A.R.A and so forth…again they did that under the authority of M1, yes, Sukarno was M1 but after he was gone someone took his place. And I don’t know his name, I asked Keith Scott you know, the chief of the cabinet of O.I T.C about M1, and he said I know, I talked him into the phone by every week, and I said well, who is it, and he said it’s not your business! So I just back away from it and said fine, but there is actually an M1 designated and in operation and he does live in Indonesia. Louisa Ok, so but there is definitely a spiritual component in this? Winston: You have discussed this in previous reports that we’ve done together, regarding why does humanity, maybe I will start with Cobra on this, why does humanity need a transition through a financial reset? Why is that part of this transition at this time? Cobra: Is very obvious because the majority of humans are living in poverty right now and they need assistance to have the physical templates, the physical background through which they can then evolve spiritually. If people are hungry and struggling for survival, they cannot evolve. First, humanity needs to receive that assistance, financial assistance and physical assistance with the financial reset, new technologies, to get back on their feet and then people will be naturally interested in the spiritual growth. Now, there is a small percentage of people that even cares about spiritual growth, because the rest are so focused on struggling for survival so this is the reason why all this is happening, why we need a financial reset. Benjamin: The other thing is of course that the way the system is set up now, nature has no value and we’ve been wiping out life on this earth at a pace not seen since the dinosaurs were extinct, and that’s accelerating and this is not the so-called ‘Global Warming’ or something like this, this is burning down virgin rainforests and overfishing and things like that. We have to have a planetary approach to this issues, to put an end to it, once and for all. We have to start rebuilding the eco-system of this planet and ending poverty and both can be done at the same time. You know, I originally got involved in all this stuff because U.N said that if…put a reports, Millennium report saying that if they had two Hundred billion dollars, they could end poverty and four Hundred billions they could end environmental destruction, and I said, hey, Japan got seven trillion dollars, they can do that, and I start to sort of explain to the Japanese government officials they should do that, and they said, what do you mean, they are murdering us, we can’t control that, and I said- who?, and they said, well, the Elders of Zion, …what?…but it turned out to be true, you know, is crazy stuff but you know, this is not the way we run the planet. Winston Let me jump in. I want to jump into some of that. Winston: In regards to what’s called the reevaluation of currency, yeah!, I was aware and I am aware of that operation that went on in Reno, yeah, it was a real thing, but one of the things that people have to consider the results of what was done there was the destruction of the petrodollar. Now, when I realised that that was going on, that the way they would destroy the petrodollar was actually be consumer driven, and that is, when we get rid of gasoline burning engines and so forth, when will go to electric cars or other fuel sources rather then petroleum, the destruction of the petrodollar will be actually consumer driven. So, yeah, it’s a real thing, is really happening, we see it, I see it! Benjamin: But here’s a thing thou, you know, I had a kind of a change of heart partially about fire full fuels, because life on the planet earth is carbon-based, right, and fossil fuels produce two things in large quantities, energy and carbon, and so, I believe we need to set up a system where all this hydro-carbon carbon is turned into living creatures, an increase in bio-mass on this planet, right, doing things like turning the desert green, turning Antartica green, all that sort of stuff, building floating echo systems. You know, this is something we can do, like to turn this planet into Paradise and so,… or this fossil fuels would provide valuable building blocs for this., but yeah, we shouldn’t have smoke belching cars in big cities, you know, that should be electric, but I think that the hydrocarbons will have a big role to play in the future, which is not what I used to think. Winston: Let me comment on that, because I wanted it to bring Cobra’s opinion in on this, and that is, yeah, we are carbon based at this point but as we go through this changes we are slowly but surely walking into Crystaline based situations with our physical body so, I would like to have Cobra weigh in on that. Cobra: Basically, what is going to happen is that the physical bodies are needed before the ascension and before the ascension process they are carbon-based. After the ascension, there is not a physical body anymore but is a hologram, it’s a holographic projection that you can create with your will so that others can see you, but you are no longer having a physical body, after the ascension, That is a completely new reality. And regarding the carbon, … the fossil fuels, there will be new technologies that will be released after the Event and the need for carbon fuels will drastically drop, so it’s an outdated technology which was promoted by the Rothschilds for 100 years because they wanted to…it was their money [cash] cow, they were just making money from this and now…I think is time to move on. Cobra: After one hundred years of automobiles with internal combustion I think is time to move on, and not move on electric cars but we can have hovering nice beautiful vehicles working on over unity generators. Louisa: Excellent, and you know, recently there was…well, let’s talk about this ascension. You’ve actually said something Cobra that might scare a lot of people, is not like you haven’t said it before, but for those who might be new tuning in, there is always people waking up all the time, I’m always trying to be thoughtful who are kind of just seeing this for the first time and trying to get people, our regular viewers, more information, but, this idea of us not having a physical body, some people translate that into death and I know there is no death but I don’t know that I can really communicate that…can you explain that transition? What is really gonna happen, is our body, our physical body going to die? Cobra: No, no, no, no, nobody is going to die, no, no, ascension is just for those who want to transcend the whole reality of third dimension and them of course…their consciousness will be so advanced that they will no longer need a physical body. Of course, they will be able to create a hologram, for others to see the physical body but nobody needs to die to go to that process, and is not about mass death or mass extinction process, is something completely different. Louisa: Ok, what’s happening to the physical body though? Cobra: The physical body gets transformed, the physical matter can disintegrate, actually can…you ascended, you transmuted into the pure light when you ascend. Benjamin: I am not on the ascension channel but I can tell you what I know from like science and stuff, that we have enough knowledge now about our D.N.A that, you know, we should be able to be immortal with the bodies we have now and we also have the ability to start transforming our physical bodies to have superpowers like eagles eyes with as good vision as eagles, we can start putting in like eco-locations for dolphins, in other words, we have through this genetic technology, the ability to became immortal on this three dimensional earth with these carbon-based bodies and eventually that might lead to a process like Cobra is talking about and there are also people who are, they are actually building things where your mind and a computer can actually meld together, and a lot of people probably just go online and became digital and live in, you know, fantasy world on the silicon dimension, but a lot of us are gonna stay in carbon and with carbon bodies and keep carbon bodies going for thousands of years. I think that…I’m personally gonna try to stick to this particular reality and this particular carbon body and I want to try to become immortal on this level because that’s what I know for sure from everyday experience is real. Cobra: Ok, I have a comment here. One thing that we have to be aware of, there is the so-called A.I prophets that want to create a singularity and that is exactly what Benjamin was describing, they want to create an immortal physical body that is tied to the machine, that is locked into a network, and then you can have an A.I high cloud computerized network that controls the mind of everybody connected to that high cloud, and this is exactly what the plan of the Archons is, but it will not, of course not be successful. Benjamin: I’m not gonna personally connect myself to a higher cloud but I know a lot of people who spend all of their times on games and multiplayer, you know…there is a lot of people will gonna vote for that, I’m not one of them. Cobra: Yes, I know, I know, but the Light Forces are trying to prevent that, and there is no more single of the physical body. The physical, organic, carbon-based body can’t become immortal with technology but can become immortal through a spiritual practice and there is actually a secret group living somewhere in China, I will not tell the exact location, underground, in subterranean caverns, that has the same body for the last 25,000 years, a group of 13 people, they have the same body for that period of time and they are maintaining that body in that condition with spiritual practices. They have no technology, they have crystals but they have no advanced A.I type technology but they are maintaining the same body for the last 25,000 years. Louisa: We have to be careful with this transhumanist agenda that will be, we don’t want to become some cyborgs, you know? And I think, the kids today, people walking around, you know, there is cartoons all over the internet about people just losing themselves, being connected to this devices, these nanobots interacting with the plasma on the screens in the TVs, it’s just seems it’s very scary because people aren’t even going outside and spending time in nature anymore. Benjamin I do not personally do that computer thing like people are talking about but I would like, I mean, when I was 18 I could run 15 miles a day through mountains carrying heavy stuff, you know and I can’t do that now, I’d like to have that body back. Benjamin: ah, yeah! Well, that’s the sort of thing that I am talking about when we have the new financial system we can finance the research to make that possible, you know? Louisa Very nice, Winston, would you like to comment on this because I know you were talking about about….now, there was a little confusion I think in Cobra’s last interview with P.F.C was talking about this 24 strands DNA and I think there is a little confusion about this so, Could you clarify that? Winston: No, I don’t want to comment on that particular thing but what I will comment on is the fact that the souls comes on on the planet for different experiences and they contracted those experiences and some have come on because they want and need a third dimensional experience and they are here on the contract for that very thing. So, at some point as, you know, Cobra has been mentioning about the spiritual body versus the physical body in the third dimension, like what Benjamin is talking about here, there will be a segregation for those who have contracted a third dimensional experience, they will have it, the conditions will be certainly a lot better than they presently are, but for those who go into a higher frequency such as the 5th dimensional frequencies, I think is like Cobra is talking about, when he talks about the light body or the spiritual body but there have to be a segregation, but as he mentioned, this spiritual body can manifest and we have many of the Ascended Masters who do that very thing from time to time. For instance, St. Germain does that on a frequent basis and I think Kuan Yin and some of those do the same thing. So, again, you know, my position is, with the Event and all of this kind of things, there will be a segregation for those who were contracted for a physical experience versus those who are moving on into higher and different dimensions. I think that summs up my position on it. Louisa :Thanks, Winston, Cobra did you have any comments on that? Cobra: I would agree with that, yes, I would say that only a small percentage of people living on this planet will go through a full ascension process in the near future, The vast majority will stay in the physical reality, with carbon-based physical bodies although with many more choices, many more options, without the actions of the Cabal, without poverty, with new advanced technology and like Benjamin mentioned, there will be technology that will be able to improve your physical body abilities but not in a transhumanist way of thinking but more of machines that have technology merged with spirituality, that can improve the structure of the cells so they can replicate better, organs that can be more efficient, things of that nature. It will not be a merger between body and the machine, it will be just machine making the body more efficient based on spiritual technology. Louisa But you know, Winston, we have, and I think Cobra was here too when we spoke with Randy Cramer about this technology that was used. Randy Cramer, supersoldier who worked on Mars, and he had the technology, talked about this technology to regenerate limbs, I mean the technology exists, I don’t think we need to do research, I think we just need access to it. Winston: Yeah, Randy has experiences that relates… not only limbs, they told me there is so much as one living particle that they could completely holographic, you know, recreate that physical body and then draws the elements in to actually replace and rebuild that body, so yeah, that technology is had, it is understood, has been understood for a long time, so yeah, those things are possible. Benjamin: You know, …as I have done this research, I’ve run into a lot of people who have memories, you know, of experience in this life that are very different from mine, like Cobra told me he once rode on a vacuum super train that goes from London to New York in an hour, and I’ve other people who say they worked, came to me are working on terraforming Mars, a lot of different stories, other guy said he is working on the moon but otherwise, you know, they seem sane. Certainly I have not had this sort of experiences but it seems to be that a lot of people have been brought from a lot of different, sort of, life experiences, at this point in time because we are headed for some sort of Cusp Event, is sort of the sperm fertilizes the egg sort of thing that’s gonna happen with this planet. It’s gonna be some kind of thing equivalent to the Cambrian explosion that’s gonna happen, that have very strong sense of that Winston Yeah! Benjamin: And I think is very, very important that we get the initial conditions right because whatever is happens is gonna happen is gonna become a trillion times bigger so if it’s a bad thing will be trillion times worst. So we gotta get it right and that’s what we’re trying to get set up now and that’s why I concentrate on the third dimension, the actual best practices on the planet as exists now, things like how Singapore runs his government and how we should have something based on that for the West. All sorts of things like that, because the initial conditions were, we all have been brought up to set all that up, will have, I think, incredible ramifications possibly for trillions of years. It’s like, you know…the Cambrian explosions, before the Cambrian explosion happened, for about 3 and a half billion years, the only life on earth you could see it was with the microscope, or the most you could see it was (like baby brown scum) or something. Suddenly, we have all these beings that are like trillion times bigger than a single cell organism, appeared of nowhere and I think we’re gonna have a similar thing happening and we can make it happen, its not pie in the sky, we have the technological body to make it happen and that’s what I am working towards and that’s what we have to take control of the financial system out of this murderous Satanists, you know, so that we can actually do it. It can be done. Winston: Benjamin, that is being done, that actually is being done, the very thing that you describe there, and we have great help of the progress if we make it, and so forth and we are building up, building up so that we can actually have the Event that Cobra is talking about, but it’s a build-up process, is not like turning light which is on and of, it’s a building process. And when we get to that point when is possible to have that Event that will happen. Benjamin: Surely I can make it happen, if, like I said, originally I wanted to take a job of taking control of Japan’s overseas financial assets because that would be enough money to start it, I know exactly how to go about it but, you know, here in Japan if we can, and I am seriously working on it, we can take over the bank of Japan, we can start it right here, and I’m not waiting for others to take action, I am taking myself, I’m working on stuff like that, you know. Cobra: Ok, basically somebody taking action can now well be the trigger which starts the whole thing because it can start anywhere, it’s a global operation but it can start anywhere, it can even start in Japan, maybe Benjamin will push the button and will start, who knows. Louisa: Exactly, we are bursting at the seems though, without doing something quick becasue the oceans, what’s going on in South America, the beach, the oceans are disappearing. According to the Zetatalk website, the Zetas have been warning about the pole shifts and all kind of major global changes, geological changes. Cobra I think you have said last time that this was a result of the activity of the sun and so, the planet is clearly transitioning herself and it seems like, this is, as Benjamin pointed out, accelerating. Do you want to comment on that Cobra? Cobra: Yes! You see, what is happening is that we have the Galactic cycles, the Galaxy rotates around its axes and also the Central Sun rotates around his own axes, it has its own cycle, it’s like a heartbeat, and every around 26,000 years there is a pulse coming from the center of the Galaxy and we are right now, at this moment…and when this happens, the Galactic Center sends a pulse which goes much faster than the speed of light throughout the Galaxy, activates the Galaxy, actually plasma electrifies the Galaxy and this is why our Sun gets more active right now, this is why the solar system is changing and there are very advanced races, among them, the Central Race, within the Solar System that are directing the whole, those energies and if they wouldn’t do that we would have polar shifts decades ago, we would have drastic cataclyisms decades ago, there would be nobody left on the planet right now, without all the ships of the Asthar Comand, stabilising the tectonic plates and preventing nuclear exchange many times. Cobra Let me just finish, I’ll be quick. Right now whats happening is, the light forces, all those advanced Races that are now in our Solar system, are allowing more and more of that energy to come through, for us to go through that transition because we cannot postpone it endlessly. So, what they are doing is always they are trying to find a balance between us, that we are waiting too long, and the planet and the humanity that needs to adjust. So it’s always a delicate balance and also balance, they are guiding this transition in a way that the toplet bombs to not get detonated. There are exotic weapons and people who have contact within the military know about that. The real military technology is much more advanced that is publicly known….it’s much more dangerous than the nuclear weapon and the light forces are dealing with this and when this is dealt with, we will have the event. Ok, that’s what I wanted to say. Benjamin: I just want to, you know, I just try to talk about things that I know about directly and certainly something happened at Fukushima, there is no radiation, there is no ‘worse than Cherynobol’ event, but there were videos of some sort of plasma entities that were cleaning up after this thing happened, so, you know, multiple eyewitnesses and my own geiger counter made it clear that this attempt to destroy Japan utterly failed and that is a technology that cleans up radiation. I’ve seen that myself, here. So, and the other thing was that there were threats to Mount Fuji and to do more destruction in Japan, which were meet with thousands of earthquakes from La Palma island in the south, in the Atlantic and if La Palma falls into the ocean, that is expected to do within a thousand years, it will cause a Hundred meter Tzunami on the East Coast of the U.S, so, some entity had the power to straighten back. This is the sort of things that you can actually see. The other thing that happened was, Japan had a series of six earthquakes that were very shallow, that each started… they had a signature, it was like an artificial earthquake, with a sudden blast followed by aftershocks, not like, you know, a slow build up, and each of them was centered on a Japanese military base and…they cannot explain this sort of things through normal 3D information but some…my understanding was that a major military buildup was secretly made in Japan to try to invade China, to start a war and that whole scenario was stopped at a very high level. The whole scenario for the future of the planet Earth has been fought over, and the ones who keep… trying to go towards war have lost, but I see the signs and they are undeniable events that are happening that they cannot pretend didn’t happen, like those earthquakes in QiuShu, like the earthquakes in La Palma, like Fukushima and my understanding is that the forensic trail, again, I am a reporter, I deal with the first-hand sources, it goes to Italy to P2 Freemasons, the Vatican and then to Zug Switzerland and another place in Switzerland. We have to, if necessary, to send men with guns to those places to finish this. Winston: Let me comment Louisa. Winston: You know, a lot of people are very familiar with the ECETI Ranch, James Gilliland, and all the followers and so forth.I asked him one time, you know, who are these ships keeping flying over, he said 70 or 80% of them are actually Pleiadeans, in those ships that are flying over, and I said, why are they buzzing around the planet all the time, well, he said, they are preventing a problem and are also correcting physical problems so we don’t have these cataclysms, which have been foretold perhaps would have happened, had they not intervene. So, we do have a great deal of help, in that respect…so, is being dealt with, so the Federation is lending a pretty good hand. Louisa :That’s good, that’s good to hear, I know Cobra you can probably validate that, right? Cobra: Yes, of course, I am in contact with the Pleadean Fleet and they are working day and night to minimise the impact of the dark forces they have on the planet, they work day and night to stabilise the humanity, assisting the preservation of nature, they are doing this all the time, is their primary focus here. Louisa: Let me ask a question, there is some video on youtube of some individuals who have taken their rockets and have launched them and it appears to hit some kind of Dome? At about 73 miles, about 250,000fit off the earth and there is one and one, there are several, in fact I think one of the Spoace X rocket had some problems with this, Cobra, what can you tell us about this? It is very popular on youtube. Cobra You see, there are many …ok, right now we have a lot of activity in low Earth orbit. All those factions that have not unified already, all those interest groups that have the capability of space travel are now concentrating here because this is where the final…I would say, a battle occurs, with cloaked ships in the near earth orbit and sometimes those things get visible and sometimes parts of this gets on youtube, so you can see fragments of this sometimes, appearing on youtube. Louisa: I mean is quite fascinating, I mean some people try to use this as an argument for the Flat Earth. Winston: Let me comment on that.That whole youtube stuff is a bunch of CIA stuff. So, if you go to listen what Andrew Bisagio experienced with his trips and so forth, many times he figured that he was actually involved in just that very thing, and that was the CIA had set up a situation…he really wasn’t going to Mars in those particular situations but he was actually involved but he was actually involved in a hologram experience. So all these things that come out in all the internet is simply a CIA stuff. Louisa: Well, these are actual videos. You can see that the rocket clearly stops. You know, it has a go pro on it and is going up then, I have a video if you wanna take a look at it. Winston: I know what it is. Louisa: So I am just wondering whether there is a Van Allen belt there or a Veil Cobra, so what’s that? Louisa: Benjamin go ahead, and then Cobra. Benjamin: Because I….Here on earth, ok, I grow up, you know, watching the countdown to the Luis Armstrong going to the Moon, and we’re supposed to be on Mars in 1970’s and in the stars, by the year 2000 and here is 2017 and they can’t even go to the Moon and they have N.A.S.A saying at the press conferences that …they think they found a way to go behind plasma around the planet. And I say, wait a minute, didn’t you already do that …you know, in 1968, so something …we’re clear, right now in quarantine on this planet and that’s based on my life experience, I certainly cannot go to the local rocket station to get a rocket to another planet and that and neither can the rest of you. Louisa: This is the rocket here that I am referring too, this is one of them, this is like a consumer type of public rocket that…you’ll see, just stops, like something stops it, like how could just stop? Now, Cobra, could you comment on that, you’ll see this in just a moment. Louisa So, an altitude of 73 miles, there’s been a few of them, they’re at the same, really pretty much the same altitude and is going to stop at any moment, you can clearly see. Cobra: It is the end of the engine burn, that’s very simple! Cobra: Ok, I will show you something. Louisa Ok! Cobra: Ok! Yeah, this was taken yesterday, can you see the curvature or no? Cobra: Ok, my team made this photo yesterday, ok, you can see the curvature of the earth. The altitude was about 20…something miles, was about 29 km. Benjamin: Listen folks, I am running out of time here, so there is any last thing …The last thing I want to say is that, here in the three-dimensional earth I see a…within this year we have a very real chance of ending this. The corporations that runs out of Washington DC has run out of money and I’m trying to convince the creditors to not let them roll it over, we can end it now. Winston: It’s not rolling over. Benjamin: Because this is our chance, within the next few months we can actually make it happen and I’ll certainly do everything I can for my end here, to make sure it happens and we have a real chance, the next few months is gonna be very important and we all need to do what we can. Louisa: Hold on a second, so, you know Winston, …Cobra had said earlier that we have to evolve, ok, so that’s why we need to go to this financial transition to evolve, because it has been so much poverty and Winston, you have said the same thing, were souls have really known only this poverty on this planet and it’s, we can’t fulfill our soul contracts being held up like this. So they have this prosperity and our souls need to experience this prosperity. So there are these prosperity packages, this trusts and things like that and is this…Benjamin and Cobra, let me start with Winston, is that how are they gonna fulfill this? Because if you are saying Cobra that this RV, this currencies are aren’t going to be… you know, in some way, some of the currencies are gonna obviously increase, there will always gonna be people to make money on this. Cobra: I will explain very briefly and then I have to go, so I would say that the part of the financial reset is the prosperity packages. There is so much wealth on this planet which has been hidden, which has been grabbed by the Cabal that needs to be shared with everybody and the Light Forces are expecting when all this is distributed and any woman, man, and child on the planet will get about 100 thousand dollars, that’s enough for a small home, that’s enough for…you no longer need to worry about your basic existence and of course, from then on, it will go upwards and I would that the basic, everybody will receive that basic package, regardless of race, regardless of age, regardless of anything, except of course the members of the Cabal that will go through the , I would say, readjustment process. Louisa: Or prison. Go ahead, Winston…sorry, you can comment. Winston: Well, the first thing that will be called prosperity is the curtailing of the IRS. Once people have an increase of, you know, 30 or 40 percent of the usual cash, that will bring prosperity without all these others. So all these other things that will happen as Cobra has mentioned there. Benjamin: The financial system is the process of deciding what we, as a species, do in the future and has been controlled by people who have been using fear. They have said, we’ve got the Soviet Union, the communisits are going to get us then its, ISIS, is fear and terror and war and instead we are gonna switch to a system where we all say, ok! what kind of future do we want to build, what kind of planet do we want to live in, how will we gonna get there, how…let’s imagine the best possible future. Benjamin: Let’s all work together and make it happen! That’s the thing we are moving too! Cobra Yes, yes! This is what we are doing, yes! Benjamin Thank you very much! Louisa: Benjamin, I appreciate you have to join us, let me just see if you guys have any closing comments, something that we didn’t discuss, or if there were any comments did you want to make on anything anyone says as far, if not, if you have any closing comments, I know, exactly more positive, this is so much more hopeful, I think, sounding interview and I think our …you know, people need to hear it, but there is anything in closing that you would like to say, Benjamin? Benjamin: I just say, it’s up to us to actually make it happen, the people in power, in the military, in the government who are able to take action, must do what they personally can, we can make it happen within the next few months if we all work together. Benjamin: And then we can have paradise on earth!. Ok, thank you for having me on! Louisa: Thank you, Benjamin, I think the Militia at this point has to take action! I mean that is what they are supposed to be doing, they’re supposed to, you know, do their job. Cobra, do you have any comments about anything we have talked about, as far or anything we’ve didn’t talked about that you would like to comment on, if not, then, you know, if you had closing comments for our viewers? Cobra: Yes, I would simply agree completely with Benjamin, we have a real chance of ending this right now, there is so if everybody would do their job, 100% or at least 80 or 90% we have a real chance of ending this very soon. Cobra: Now is time to take action, yes! Louisa: There has to be a push from someone, ok! And Winston, did you want to comment? Winston: Well, just this, the ones who won the soul contracts to take this positions of power and so forth, if they don’t do their job they will and are being removed. Louisa: Ok! 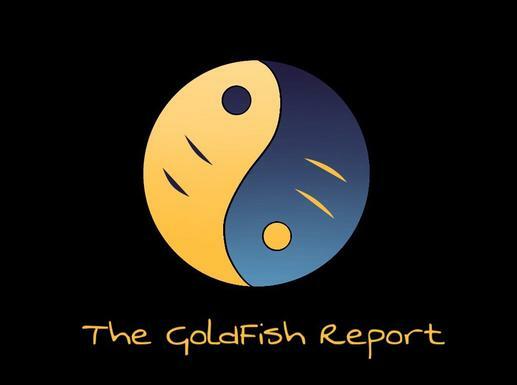 Thank you very much Winston, Cobra, and Benjamin, is been a pleasure to speak with you and host this interview again and I hope to see you back on the Goldfish Report again soon. 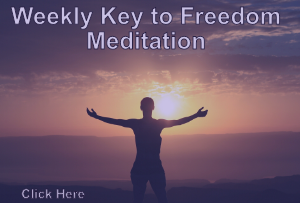 Folks, the Links for all our guests today are going ot be in the comment section of this video and I wanted to just remind our viewers to please support these guests and their projects and let’s bring forth this event and this change for humanity so we can all finally live a happy, joyful and prosperous life! And having said that, thank you for viewing and that concludes this edition of the Goldfish Report!